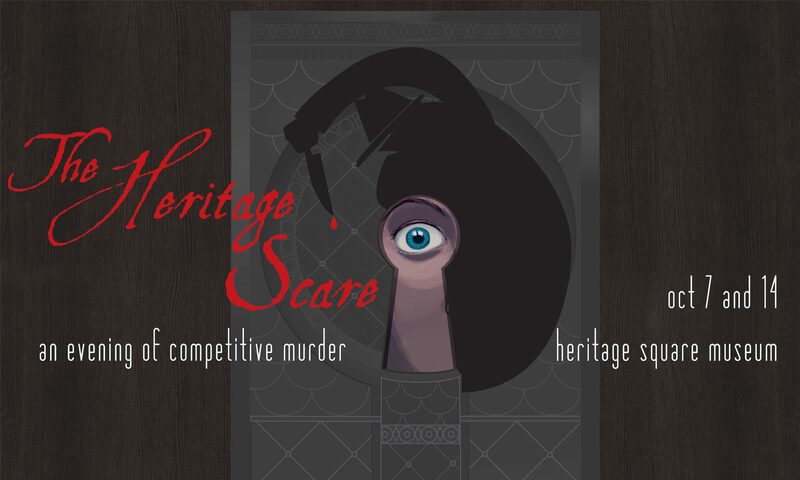 The Heritage Scare is a competitive haunted house: a haunt that you play as a game. Inside each house of the living history museum at Heritage Square, we’ve installed a diabolical strategy game of betrayal to play with your friends or your enemies. Will you slay the competition to emerge triumphant? After last year’s sold-out, runaway smash success, The Heritage Scare is back for 2 nights in 2017. With all your favorite games returning, plus myriad surprises, whether you’re new to these cursed grounds or coming back from the grave for more moribund merriment, we welcome you with open arms: we’re heavily armed. Seven fiendish original games in all: play in any order as many times as you want. The hauntidote to corny mazes. Most peerless and singular of all the haunt attractions in L.A., or anywhere. Tickets are $49 each and may be purchased here while they last.